The wellness industry is growing at remarkable rates, and with that comes the desire to be fit. Consumers are not only interested in building muscle, they have the desire to be focused, strong, and energized while working out. Women and men of various age brackets are becoming more aware of the benefits of supplementing prior to their workouts. While the main target audience for pre-workout supplements is active athletes, the broader, surrounding market has substantially widened and overlapped. The surrounding market consists of casual exercisers and hobbyists of sports activities. Expansion in demographics and ongoing research into alternative blends and ingredients are pushing consumers to participate. Trends for pre-workout supplements show there is massive opportunity for retailers who choose to partake in this market. Retailers everywhere are understanding their ability to navigate various channels with custom formulations. 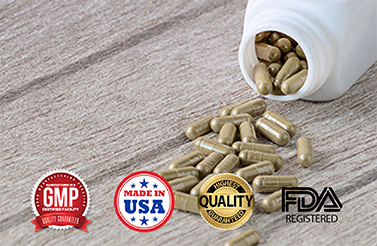 Every product BioThrive Sciences makes is science-based and contains appropriate dosages that provide effective results; we ensure this with our Doctor of Pharmacy on site. Whether your consumers desire fat burning, faster recovery, or increased focus, BioThrive Sciences can create the perfect pre-workout supplement. Our state-of-the-art facility provides sterile preparation of formulas and blends, and we always welcome third party testing. Gyms, fitness stores, and supplement retailers all benefit from our private label manufacturing. Labels are always designed to be compliant yet custom to each supplier. Our facility will also print and label supplements, and distribute products for start-to-finish services. Our company provides quality pre-workout supplements with premium ingredients. Your consumers will see and feel difference when you order products from BioThrive Sciences. To learn more about our services, contact us online or call (844) 263-3657.